Kaipara Kumara are available loose or in convenient pre-packs from Countdown supermarkets throughout New Zealand. Sweeties were introduced in 2002 and come in a convenient 500gm pack. They are a smaller kumara around 30-50 grams. You can bake, roast or boil these little beauties with no peeling required. Pop them in your favourite kumara recipes. Kaipara Kumara supply red, orange and gold Sweet As! kumara exclusively to Countdown in convenient 850g packs. Look for the 3 types in your local Countdown. They cook the same but look and taste deliciously different. A fantastic initiative by Countdown in utilising product not usually on sale in the premium loose section of their produce displays. 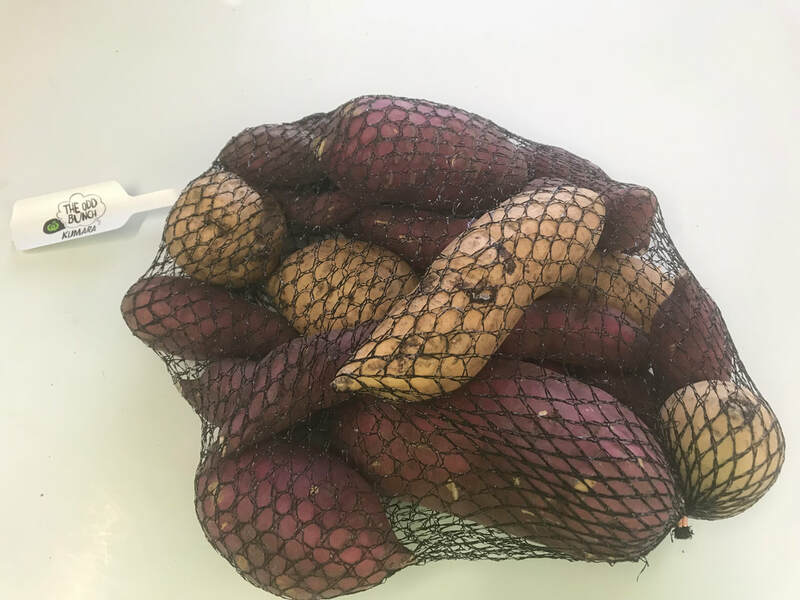 As the brand suggests – “Unique produce that dreams of being tasted, not wasted.” These kumara may be a bit ugly and damaged – but they still taste great. They come in 1.5kg and 3.0kg bags.